Mommy would like to have her gadgets back. She no longer wishes to share with any of the children anymore. Even though all of the fun apps and games keep us quiet and the videos entertain us in the car for long drives, she is over having to hand over her tablet. I think she needs a lump of coal in her stocking. Would you please send us a kid-friendly, educational and Wi-Fi enabled learning app tablet that we can use so that Mommy no longer has to pretend like her tablet is broken or that she cannot find it when we want to play with it? It would make our day and year. This could easily be a letter written to Santa by a children across the country. How often does your child want to borrow your gadget to play a game, create a video, draw or read messages from loved ones? Chances are the answer is, A LOT! If you're anything like me, you want a product that can provide endless entertainment for your child, all while maintaining the sophistication of products geared towards more mature consumers. I found this in the VTech InnoTab 3S: The Wi-Fi Learning App Tablet. 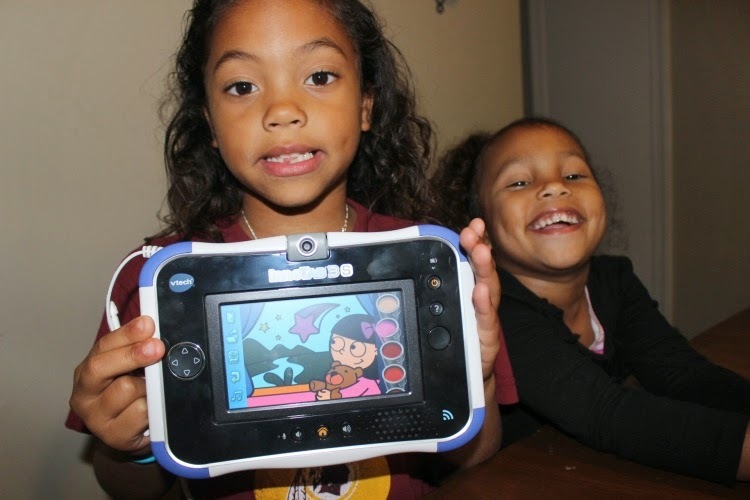 I knew that my two cousins would enjoy the VTech InnoTab 3S. This product is recommended for ages 3-9 years. My cousins, who are also sisters, are 4 and 6 years old. They are a perfect match to use this tablet. The VTech InnoTab 3S comes with everything your child needs to get started on all the fun. Mariah and Iyana wasted no time getting their profiles set up so that they could start using the tablet. 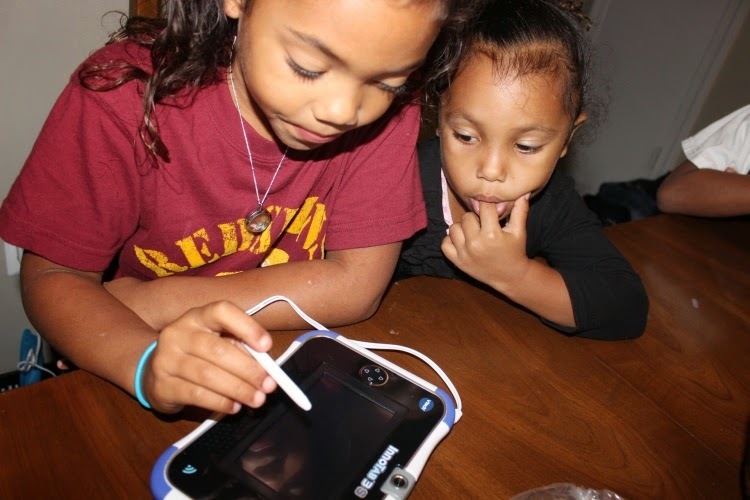 Using the cartridge that comes free with the VTech InnoTab 3s, the girls found an activity that was easily enjoyed by the both of them – painting. 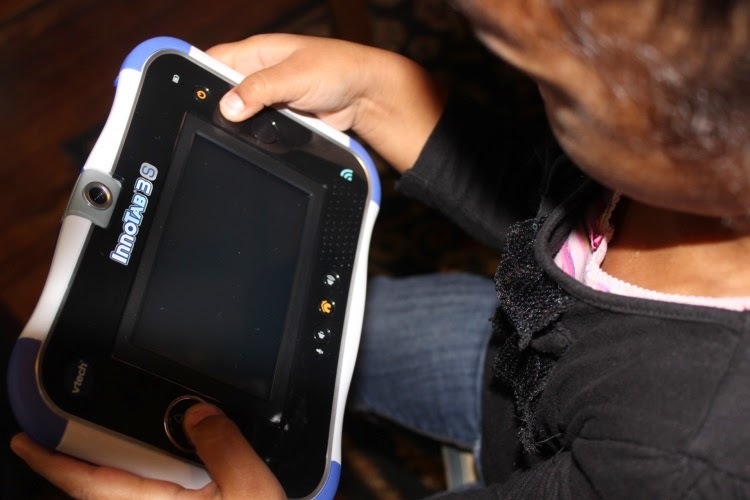 I noticed how perfect the tablet fit into tiny hands, such as Iyana's, who is four. She held it without any problems, with everything right at her fingertips. 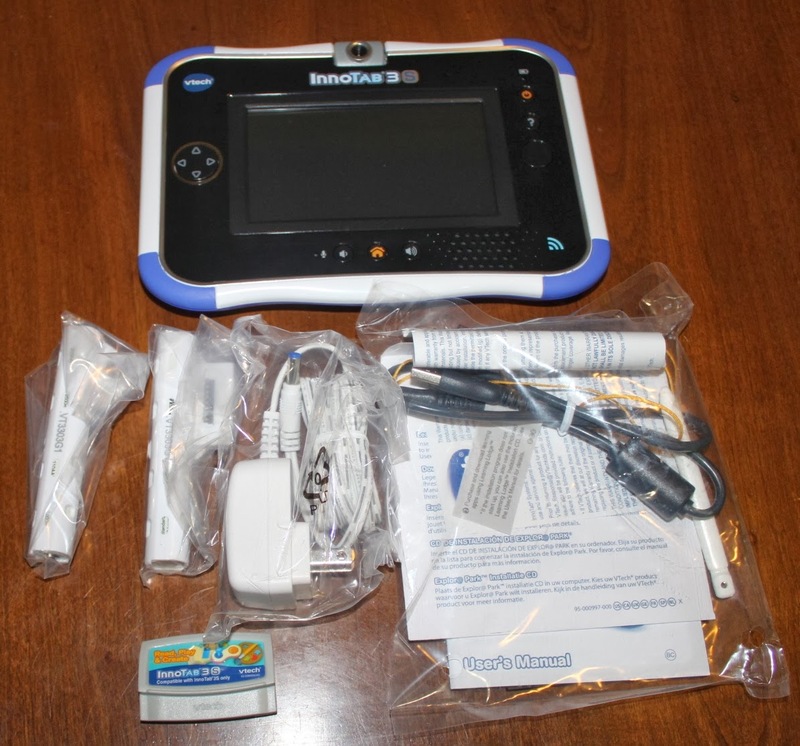 At first glance, the VTech InnoTab 3S appears to be just another gadget on the market. However, there is a special feature that sets this product apart from the others and one of my favorite parts– Kid Connect. 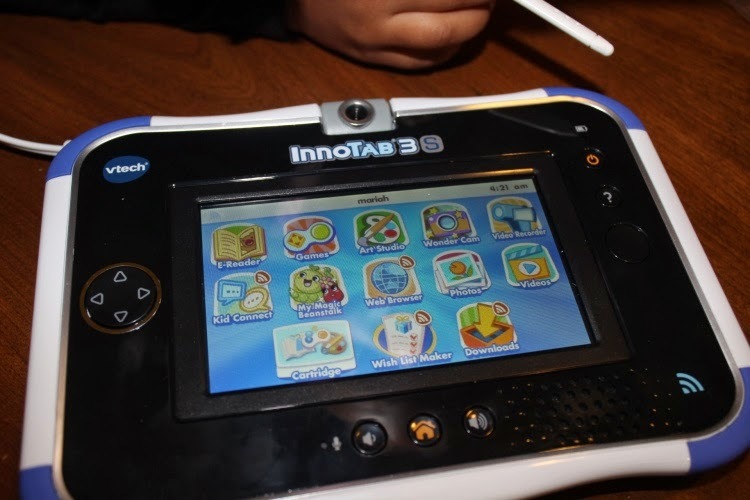 InnoTab 3S is the ONLY children’s learning tablet with VTech Kid Connect. · VTech Kid Connect is a unique, ground-breaking family communication app that brings families together and helps parents stay connected to their kids when apart – anytime, anywhere! 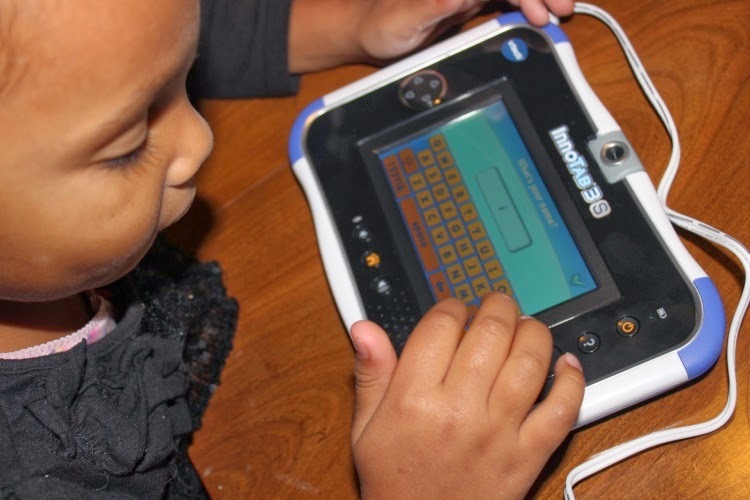 · With easy-to-use tablet-to-mobile communication, preschoolers as young as three can send voice messages to parents’ smartphones, from a kid-safe, kid-friendly tablet in real time! 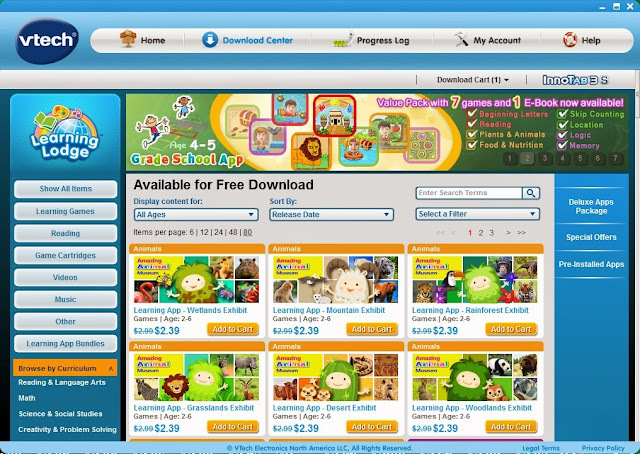 · Kids can also send text messages, animated stickers, photos and drawings. · InnoTab 3S comes with a one year free subscription of Basic Kid Connect, which allows users to send text messages and stickers; a Premium Kid Connect subscription, available on VTech’s Learning Lodge app store, offers the enhanced features of voice messages, photos and drawings. 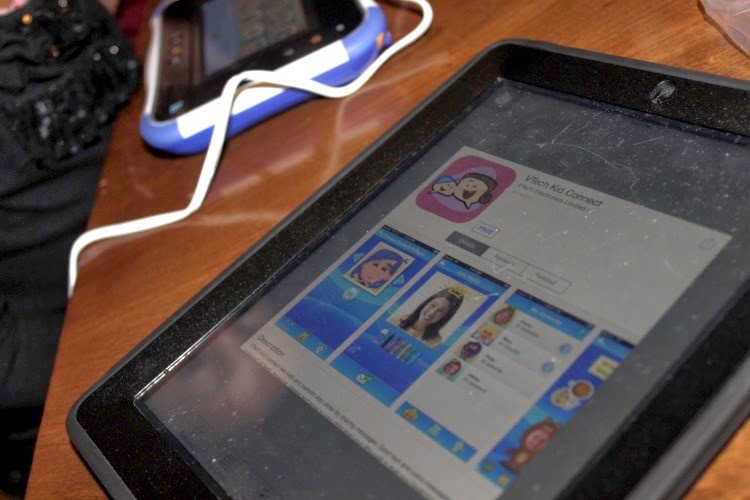 We tested out the Kid Connect app to see just how beneficial it is to the family. All I had to do was download the app to either an iPhone/iPad or a Android phone. From the device I was using (in this case an iPad), I activated the app, set up my account and went from there. I chose to send Iyana a message. When she signed on to the InnoTab 3S, it was waiting for her to view. She could also respond back to me. This is a working or out-of-town parent's dream feature! You never have to feel like you're too far away from your child AND you can make it fun when you both are missing each other. 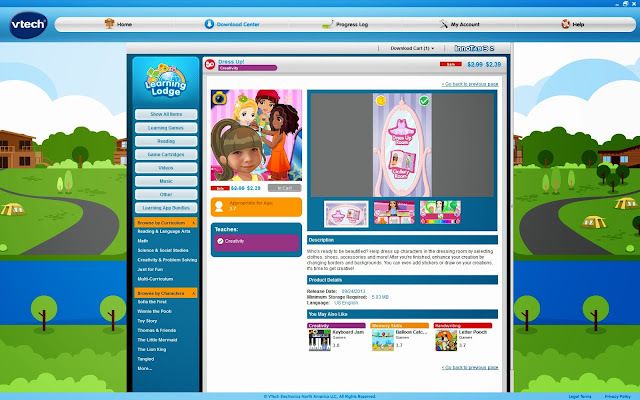 For more information, visit http://www.vtechkids.com/kidconnect. The Learning Lodge is another great component of this tablet. There is so much you can do here. 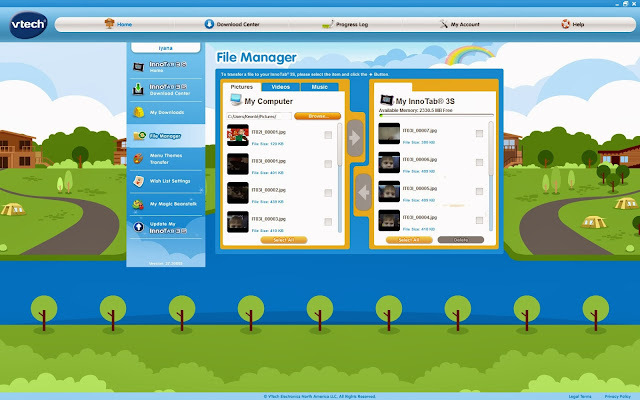 Just like other devices, you can choose to add/buy games, download and transfer files and manage your account. As with any product, there are a few cons. This tablet has a few that I can think of. The additional games and cartridges to purchase can be a bit pricey. They range in price, but can peak around 20+ dollars. If your child gets bored easily, they may want to continuously get a new game and it will cost you. Sometimes it takes awhile to load. I guess it depends on your Wi-Fi connection. I know that I grew impatient a few times waiting for the next page to appear. Don't expect to do a lot of streaming on this tablet if your child likes movies. The camera is pretty much useless if the room isn't extremely well-lit. Most of the images are dark and you will not be able to see them. Using the camera during the day, outdoors will probably result in the best pictures and/or videos. This tablet comes to you in the English language. It cannot be translated into any other language. So, if you use multiple language in your home, or would like to teach your child other languages, English is your only option. If you need a little more convincing as to why you should purchase this tablet for your child, get this: As a special for the holiday season, the price on the InnoTab 3S has dropped from $99.99 to $79.99. 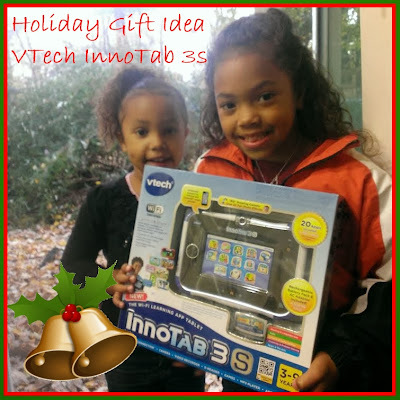 Want to win one of your very own VTech InnoTab 3S tablets? Well, I have TWO to give away to my readers. Here's the catch – it ends 11/24 at 12 NOON. Mandatory Entry: All you have to do is leave a comment below stating which FEATURE YOU LIKE THE MOST or something new that you learned about the VTech InnoTab 3s from visiting the website. 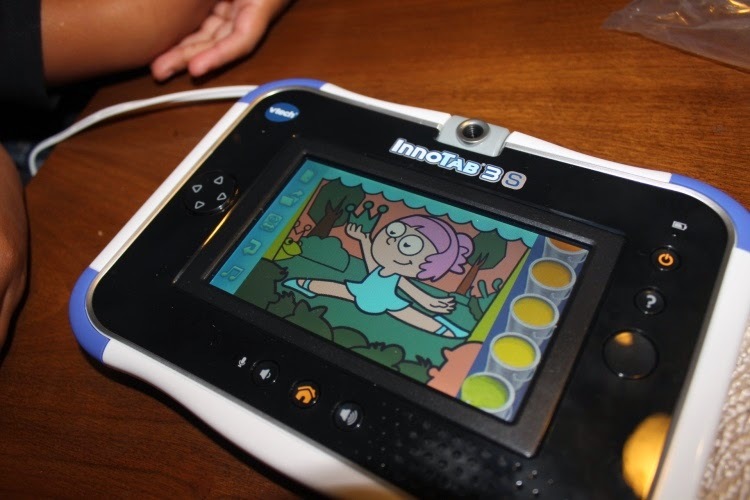 Try this link for help: http://www.vtechkids.com/brands/brand_view/innotab3s. Good luck! Regram/Repost my picture on Instagram for an additional 5 entries (leave 5 separate entries) http://instagram.com/p/hE3RHDRPbF/. Ends 11/24/13 at 12 NOON EST. Open to US Residents only, age 18+. Only one entrant per household. Winners must not have won any prize from Mommy 2K in the last 30 days. Please leave a valid form of contact such as an email address. Winners will be chosen at random from all valid entries using Random.org. Winners will be notified through email and have 48 hours to respond before another winner is chosen. Mommy 2K is not responsible for late, lost or stolen prizes. I was provided a VTech Innotab 3S to facilitate my review, as well as additional products to host a giveaway. I was also provided a free Premium Kid Connect subscription to review by VTech. There was no monetary compensation. The opinions and views are my own.